Whoever said that everything old is new again might have been thinking about the Bethlehem Steel property in Lackawanna. What was once the beating heart of the Western New York economy may soon spring back to life as a magnet for large, modern manufacturers. That would put a powerful cap on the revival of a city whose decline began with the hollowing out of the American steel industry. That’s been said before, producing doubters whose skepticism is well earned. But this new effort appears to be a different and serious approach – one that has both money and political clout behind it. The goal, pursued by the administration of Erie County Executive Mark C. Poloncarz, is to take advantage of the location’s many assets, just as Bethlehem Steel’s predecessor did in the early part of the 20th century, but to add the high-tech bells and whistles that 21st century manufacturing requires. Although the property is rundown and contaminated, its strengths are significant enough to warrant the costs of remediation. Hard against Lake Erie, the 148-acre site is easily accessible by water, rail and highway. It is visible from the road and near an international crossing. Infrastructure is already in place, including natural gas, water, sewer, electrical power and roads, though work will be required. And, while the ground is contaminated, the site qualifies for lucrative brownfield tax credits. All of that has been true for years. What is different today is almost $19 million in local, state and federal money. Those funds have been spent or are committed to buying and redeveloping about 150 acres of the former Bethlehem Steel property. That’s the game-changer. It’s what makes this real. The property already is on the priority lists of national site selectors, according to Invest Buffalo Niagara, the regional economic development organization. Site selectors insist on seeing it. “This tells me this has got to be one of the top sites in the Northeast,” said Invest Buffalo Niagara CEO Thomas Kucharski. Deputy County Executive Maria Whyte agrees. “This property represents one of the most marketable pieces of industrial property in all of North America,” she said. “And that is not a small claim to make.” She believes the site will deliver Western New York’s next generation of high-tech manufacturing jobs. But there are hurdles. Once acquired, the property must be remediated. Miles of railroad tracks have to be ripped up or relocated. The owner, ArcelorMittal, is headquartered in Europe. Companies leasing or owning adjoining property need to be factored in. And a clock is ticking. The site is one of the few remaining big parcels that are grandfathered under the old rules of the state’s Brownfield Cleanup Program. Businesses that locate on the cleaned-up site would be eligible to recoup 18 percent of their entire investment, with no dollar limit. Property tax concessions would last 10 years. But to retain the benefits of the old rules, cleanup work must be completed and certified by Dec. 31. That creates urgency, but the project is moving along, based in part on Erie County’s smart decision to use $7.6 million in borrowed money as part of the $18.8 million raised to date. There is always some risk in putting up borrowed money on a speculative project, but the prospects of significant success tilt in taxpayers’ favor. And, what is more, the need is great. “It’s very important to have large industrial sites that are available and shovel-ready in our territory,” said Richard Schechter, a Pyramid Brokerage real estate agent. But less than 5 percent of the 66.1 million square feet of the region’s industrial space is vacant and available, according to the CBRE brokerage firm – a rate that is persistently below the national average. 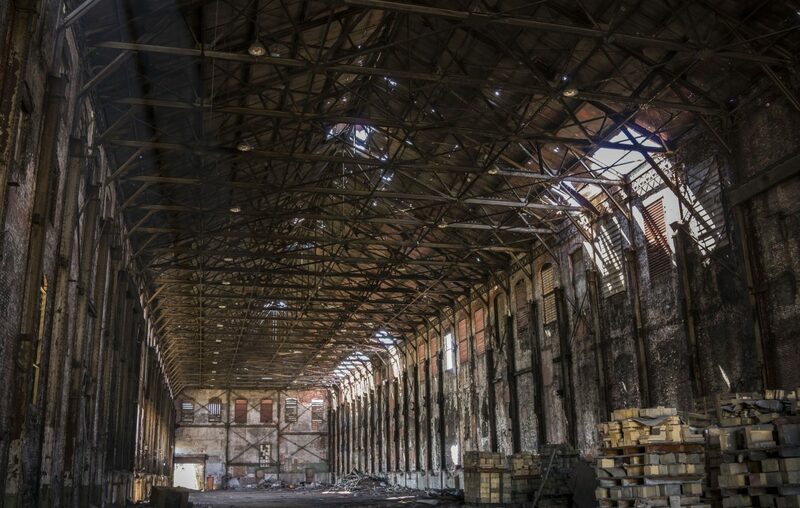 As recent corporate investments in Tonawanda’s General Motors and Sumitomo Rubber tire plants showed, the death of manufacturing in the Rust Belt has been greatly exaggerated. This is an opportunity to provide Buffalo with what local leaders see as some of the best advanced manufacturing property in the nation. This was a good move.